Yesterday the final countdown, the last of the lasts if you will, truly commenced. Depending on if you are a glass half-full or half-empty person you could say that the turn-in clock begins the moment you bring home an aspiring service dog puppy. I find that way of thinking to be pretty bleak. I prefer to save my last of the last way of thinking until the bittersweet end. Bitter and sweet? Yep, I find turn-in bittersweet. It is hard to turn-in a pup that you have raised and loved for a year and half, I am not trying to sugar coat or gloss over that fact. However, there is a sense of excitement and hope for what happens next. Lacinda is not without her quirks that could pop up as issues in advanced training; however, she is full of great personality and resilience that might make her the greatest service dog ever. Despite the tears that will most assuredly come tomorrow (or maybe sooner), I just can’t wait to hear what happens next. Will she be a breeder, will her constant desire to lean on or be touching her handler endear her to the trainers or send her home, does her constant desire to have something in her mouth mean that she will learn the “get” command quicker, will she go to the hearing program because she is high energy and observant of every little sound? The simple fact is that we just don’t know and so while this is the last of the lasts – last time going to work, last time sleeping at home, last time going to this place or that place – it is also the start of the long wait. Beside the turn-in day being very long and fraught with emotions, the next several months will be longer. 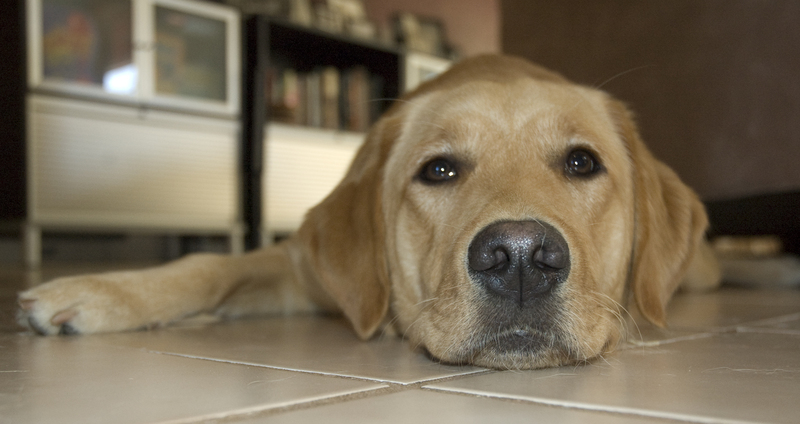 After turn-in puppy raisers don’t usually hear anything about their pups for 4-6 weeks. During this time the pups are going through health and temperament testing as well as being evaluated for the breeding program. This is the “no news is good news” phase. Most of us puppy raisers have programed two phone numbers into our phones: the breeding program office (good news call), and the puppy program manager office (bad call during AT unless right before a team training or when you are getting your next puppy). Finally a letter comes from your pup saying that all is well and that they are doing fine. The next phase of waiting comes in one month doses where you are waiting to get your pup’s next monthly training progress report. After about six months from turn-in puppy raisers start the long wait to get the call for team training. It is like your dog being called up from the minor leagues, to go to the big show! On the first day of team training CCI brings in 3-5 more dogs than there are graduates to find just the right fit for each person. Puppy raisers wait on pins and needles over those two weeks hoping their pup will find their forever person. If for some reason the pup doesn’t match they often stay for another graduation cycle or two until the right match is found. This is our second puppy turn-in. I am expecting it to be different from the last mainly because last time we came home to an empty house. This time we have Sabina to snuggle with and ultimately a new litter to whelp the following week to help sooth the puppy turn-in blues. Getting ready for the whelp will not leave much time for moping. Turn-in will also be different this time because through Sabina I have learned how much these pups like the training process and more specifically how much they love their CCI trainer. The CCI trainers are simply the best. What will be the same is that I am sure when we make that final leash handoff Lacinda will go prancing down the hall with the CCI trainer and not even look back. That isn’t a sign that she doesn’t love us, it is a sign that we did our job well – that she is confident in her commands, that she trusts we wouldn’t hand her off to just anyone, that she is willing to work for someone other than us, and most importantly can bond with someone else. Watching her walk away for the last time, will also be her first steps into the next phase of her aspiring service dog mission. Show ’em your stuff Lacinda, we know they will love you!